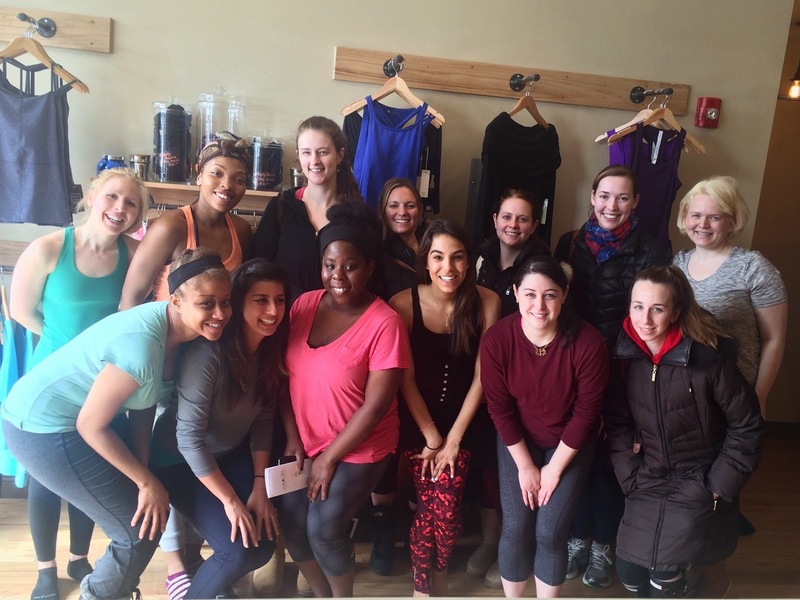 A couple of weeks ago I hosted a group of Boston bloggers for a workout at Simply Barre in Southie. We all know how much I love a great barre class, so after discovering Simply Barre's challenging classes and convenient location I wanted to share the experience! We hit the barre for almost an hour with experienced instructor Dorothy. She was excellent at motivating the beginners in class while still challenging and correcting barre enthusiasts. My legs were shaking at the end! After class my new friend Mike from Paleo Life joined us with a sampling of his delicious Paleo-friendly meals; Honey chicken wings, mashed sweet potatoes, and fresh zucchini and squash! 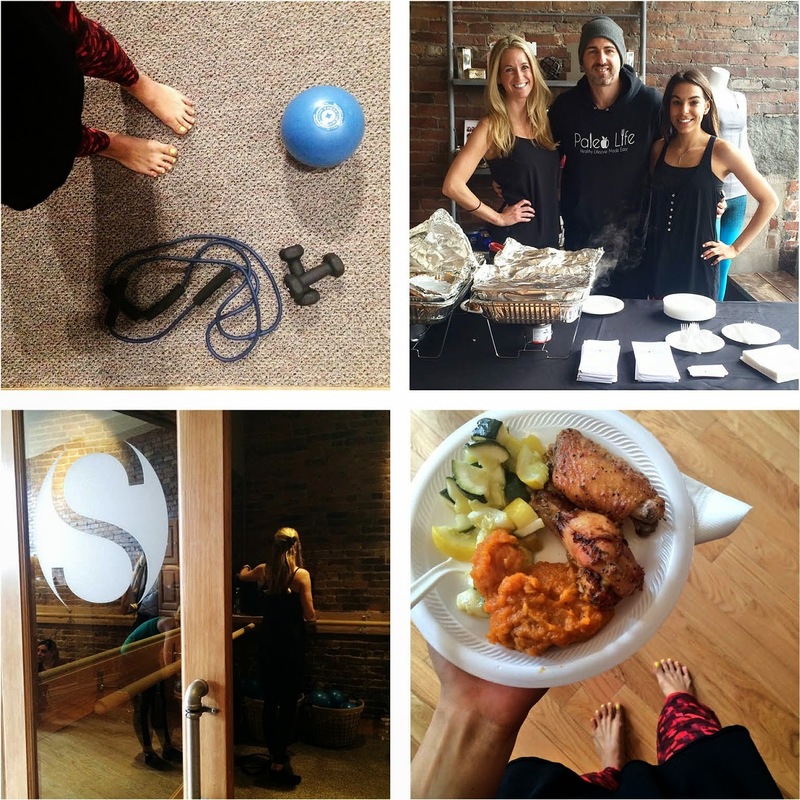 If you're in the Boston area and looking to clean up your eating habits take a look at Paleo Life, Mike delivers his delicious meals every Sunday throughout Boston and they are not only healthy, but flavorful and delicious! I hope you get the chance to try out Simply Barre, your first class is just $10 and you'll love the workout. There are no other barre studios in this area, so for me it works out perfectly. I can hit a noon class and be back at home to get ready for the closing shift at work! Maybe I'll see you at the barre!